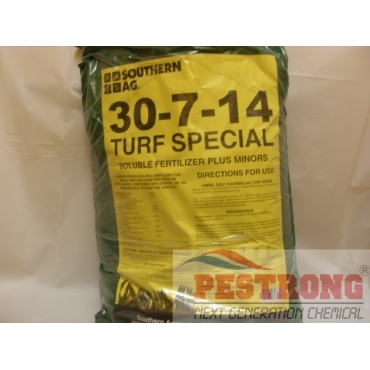 Where to Buy 30-7-14 Soluble Fertilizer, 30-7-14 Turf Special Soluble Fertilizer Plus Minors - 25 Lb - $49.95 for Sale with Fast Free Shipping! 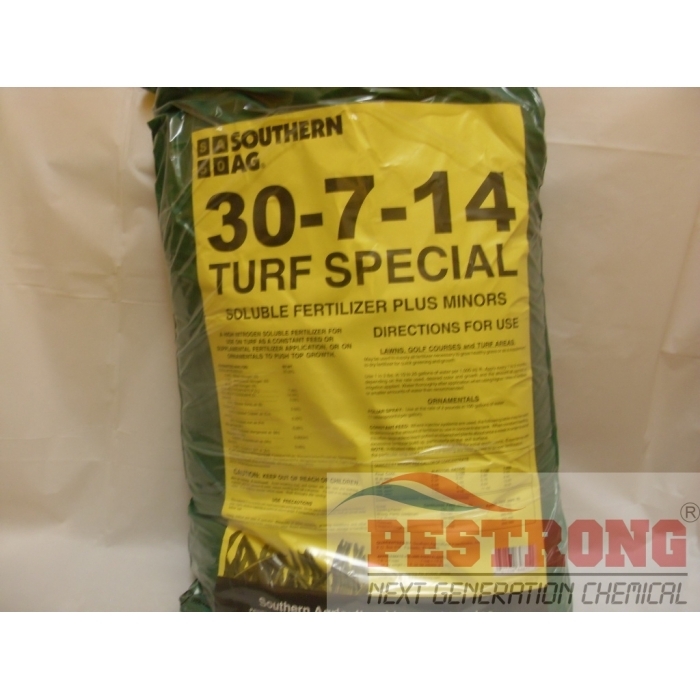 30-7-14 Turf Special Soluble Fertilizer Plus Minors - 25 Lb used to supply all fertilizer necessary to grow healthy grass or as a supplement to dry fertilizer for quick greening and growth on lawn, golf course, turf or any other area. Turf: 0.5 lb to 3 lbs. in 10 to 20 gallons of water per 1,000 sq. ft.
Ornamentals: 2 lbs. per 100 gallons (1 tablespoonful per gallon). APPLICATION: Apply every 1 to 2 months on rate and desired growth and color. It is good liquid fertilizer..